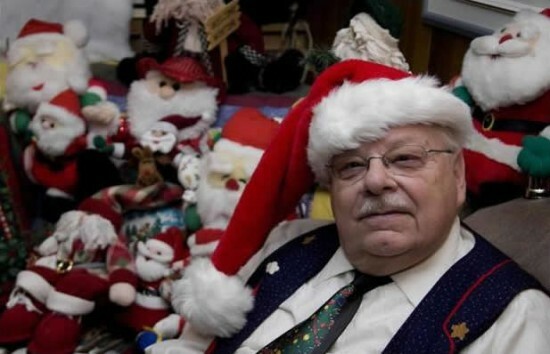 Canadian Jean Guy Laquerre , a 74-year-old former geography teacher, is the proud owner of theWorld’s Largest Collection of Santa Claus Memorabilia. 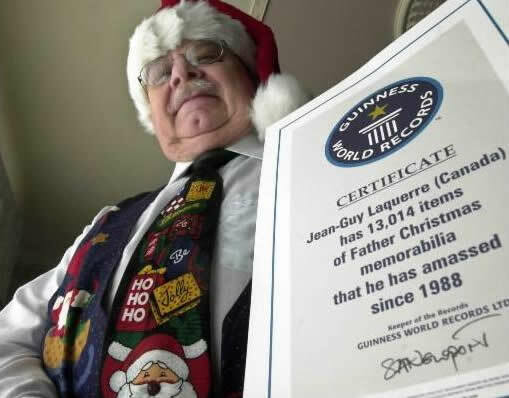 Laquerre became addicted to Santa Claus memorabilia after his aunt gifted him with a beautiful 20th century papier-mache Santa Claus figure, over two decades ago. “It awakened the child in me” he says, but his fascination for Santa soon turned into an uncontrollable obsession. 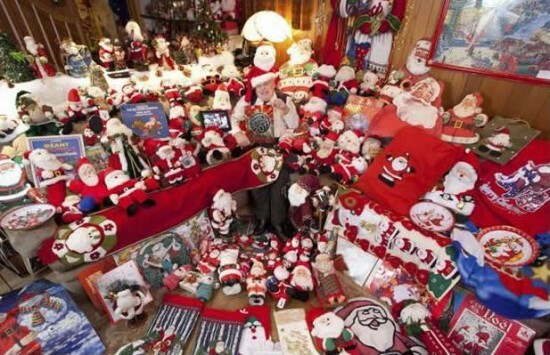 This “Santaphilia”, as he calls it, started back in 1988, and in the next 22 years he managed to put together an impressive collection numbering 25,139 items. Laquerre confesses it is hard for him to restrain from buying more Santa stuff, “I can’t stop myself entirely, but I do restrain my urges. I surprise myself when I go into a store and I don’t buy any new ones…it’s because I just don’t have any more room for more figurines.” They are everywhere…and in every form imaginable, from jolly-dancing Santas to table-cloths, cushions, blankets, albums, and even a toilet-seat cover. It is clear that he is very fond not only of his entire collection, but of every piece in particular as he is very meticulous in arranging and classifying them, every year. He is very hopeful that one day this will all be displayed in a museum, although his home on Christmas can already be perceived as a private Santa Claus museum.